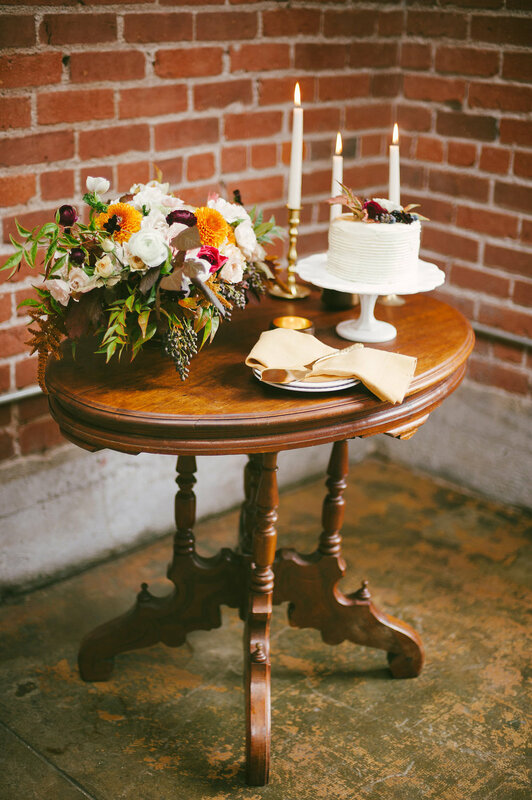 While we try not to buy too many projects, we can't always resist pieces with good bones and tons of potential. These chairs caught our eye and have been waiting patiently in our warehouse for an update! 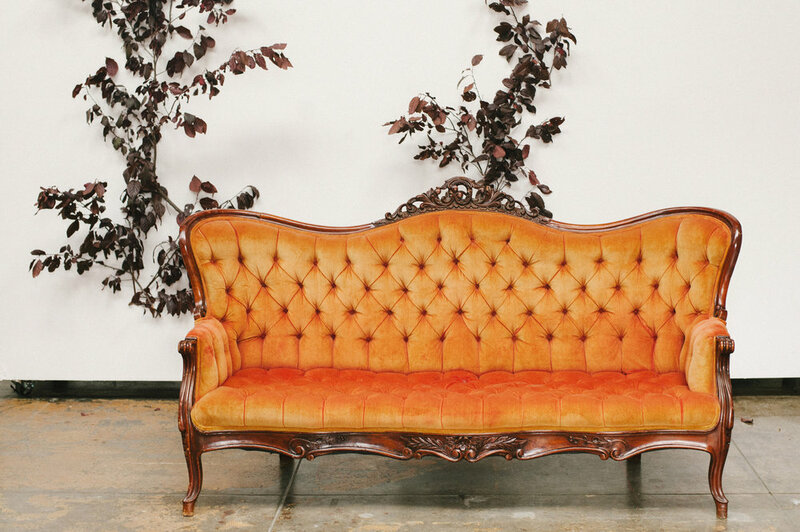 We replaced the upholstery and painted the wood with our new favorite shade of gold paint. Finding the right shade has been a challenge! Here's a shot of our before and after on our new(ish) Louis Armchairs. 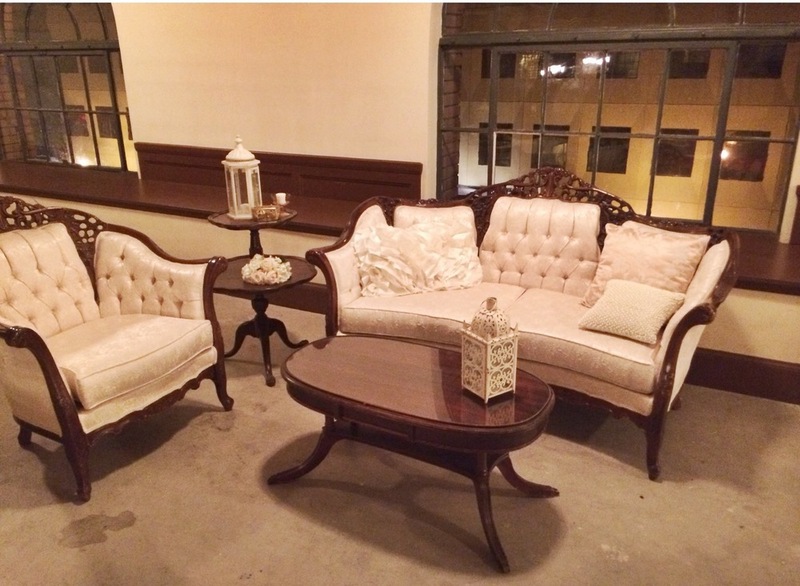 These chairs are perfect for a sweetheart table or accent chairs in a vintage lounge. 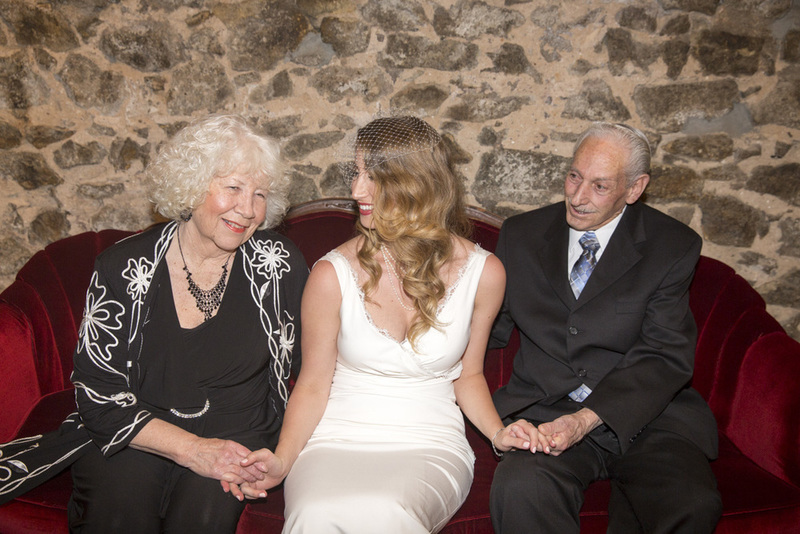 We always love getting pictures back from our clients. 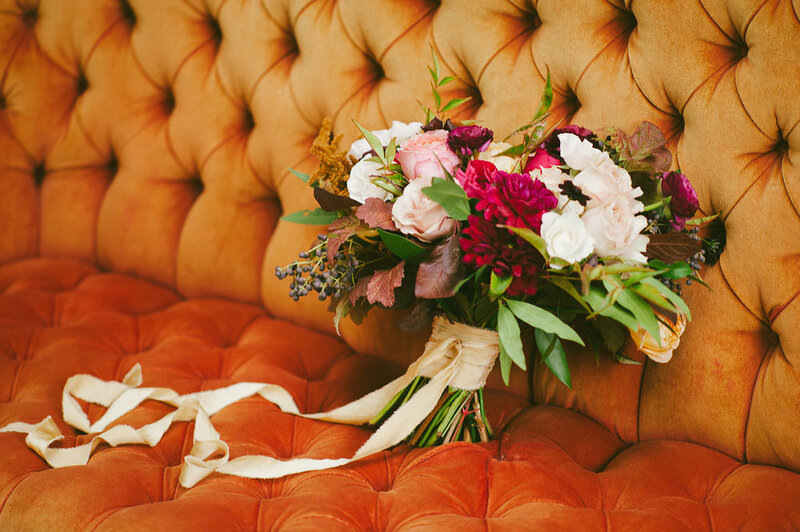 Recently, Carley sent us a few snaps of her family, wedding party and groom, Dan, striking poses on our red velvet sofa. 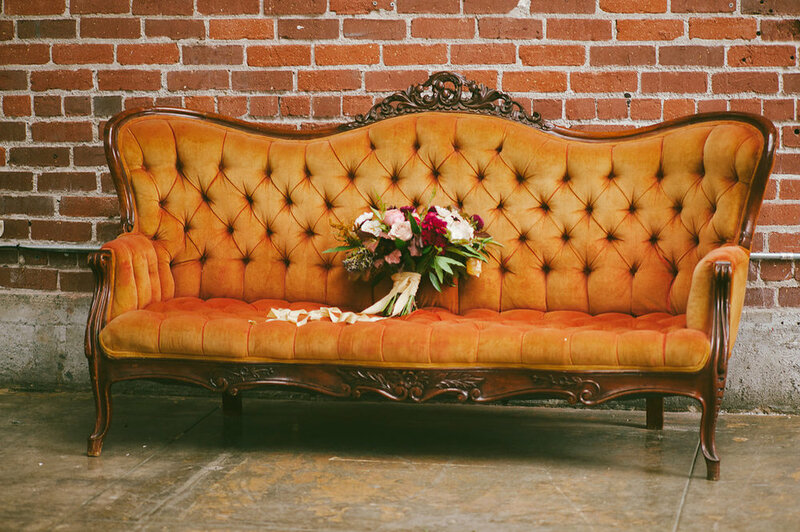 Our vintage sofas make great lounges, but also add a little something extra for your wedding portraits. 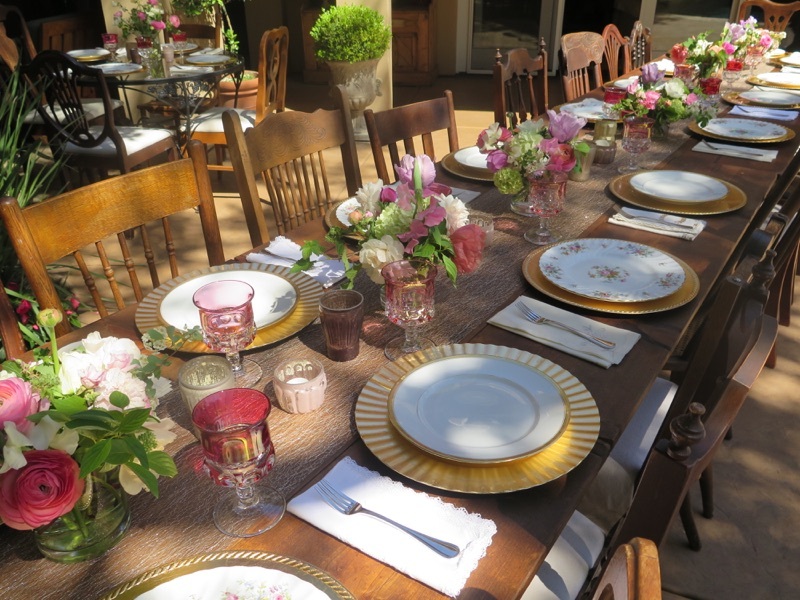 We've been feeling a spring awakening here at Dogwood Party Rentals! 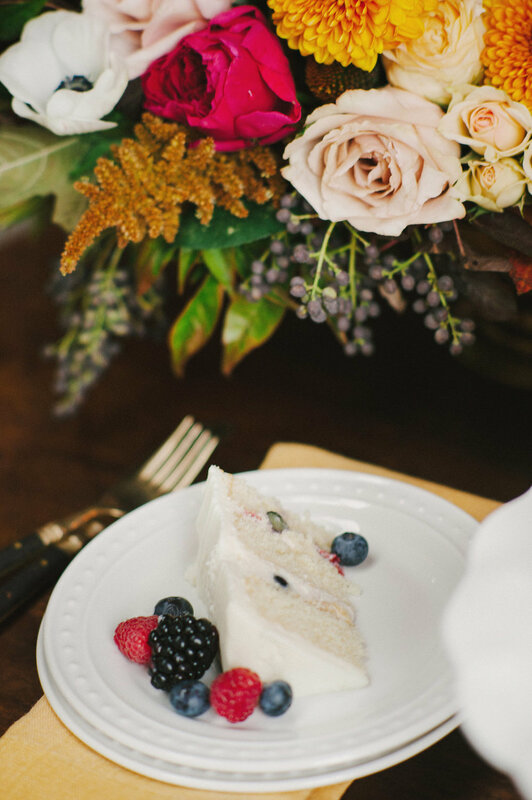 Bridal showers, baby showers, weddings, and prom, yes prom. We wanted to share a few pictures of our rentals out and about. 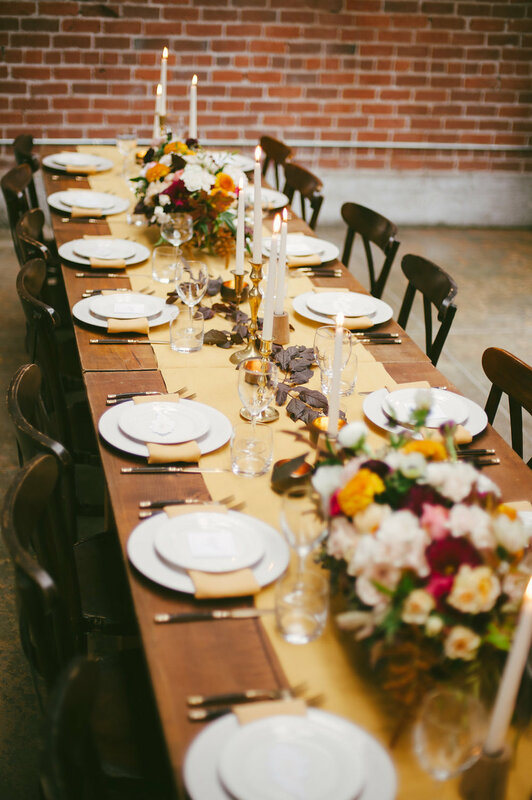 Last weekend, our vintage mismatch chairs and farm tables helped dress up a bridal shower. And we delivered a small lounge to the Elk's Tower, too. 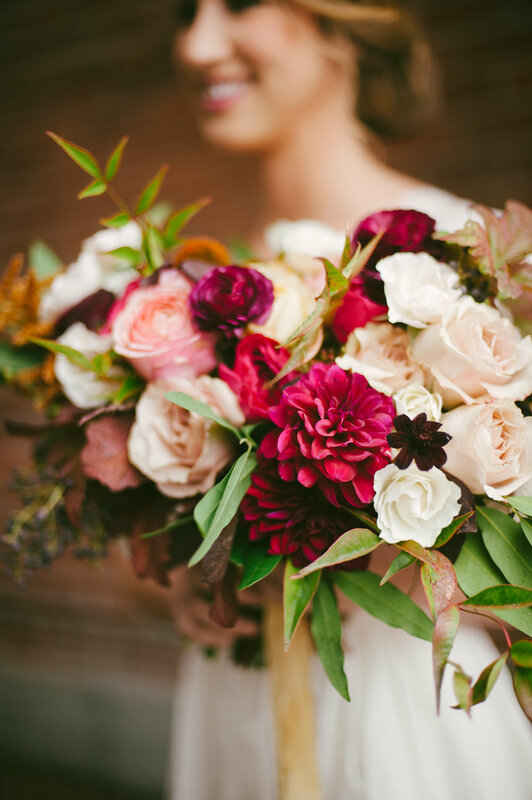 We always love a soft and neutral wedding, but rich and warm colors make for a beautiful wedding, too. 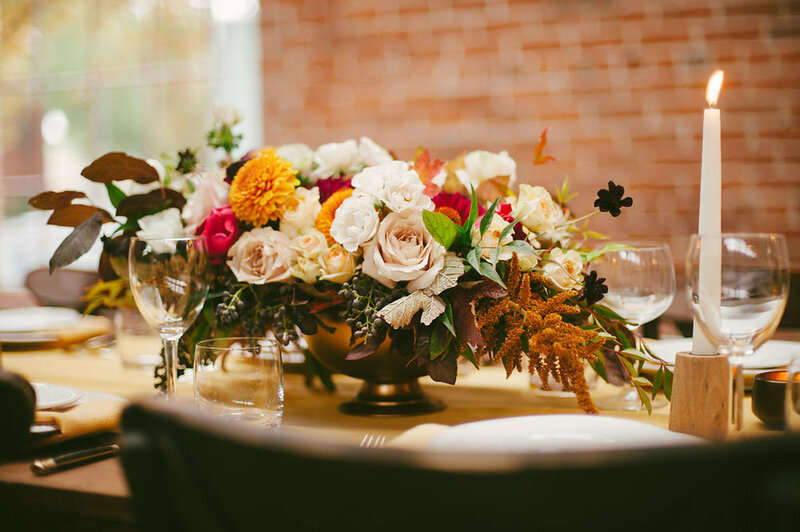 This shoot featured deep oranges and yellows and it revealed a refreshing take on fall wedding inspiration. 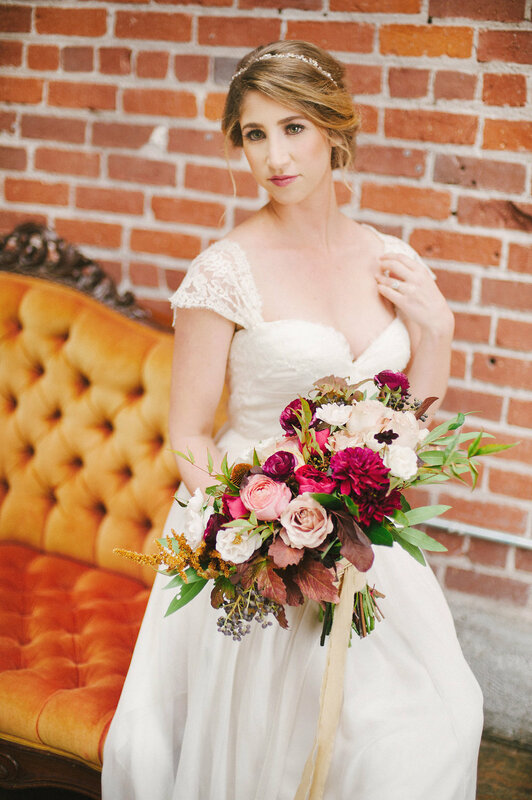 We were so excited to see this shoot featured on Ruffled Blog. Click here to the full post! 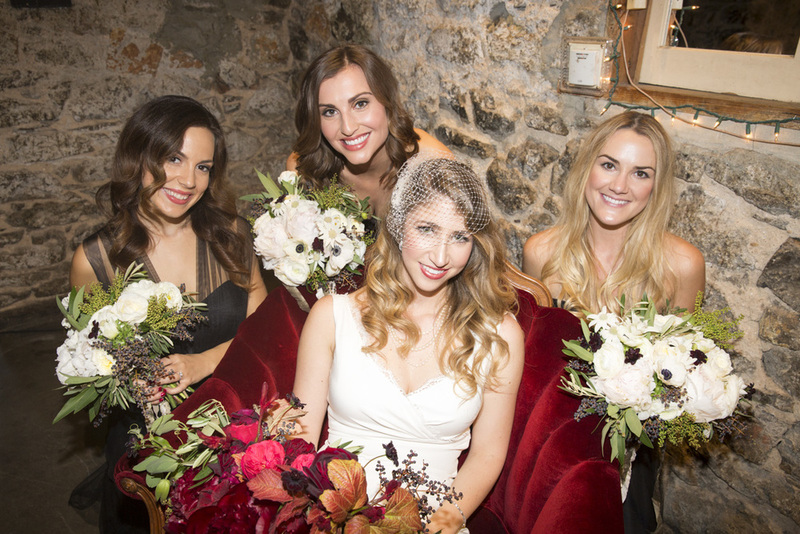 A big thank you to Britt Taylor Photography and Thistle and Honey Floral Design for having us along!